WAY back in 2011 (Okay… that’s not that long ago in people years, but it’s a really long time in blog years!) I created and shared for free a fun little game called Roll A Rainbow. 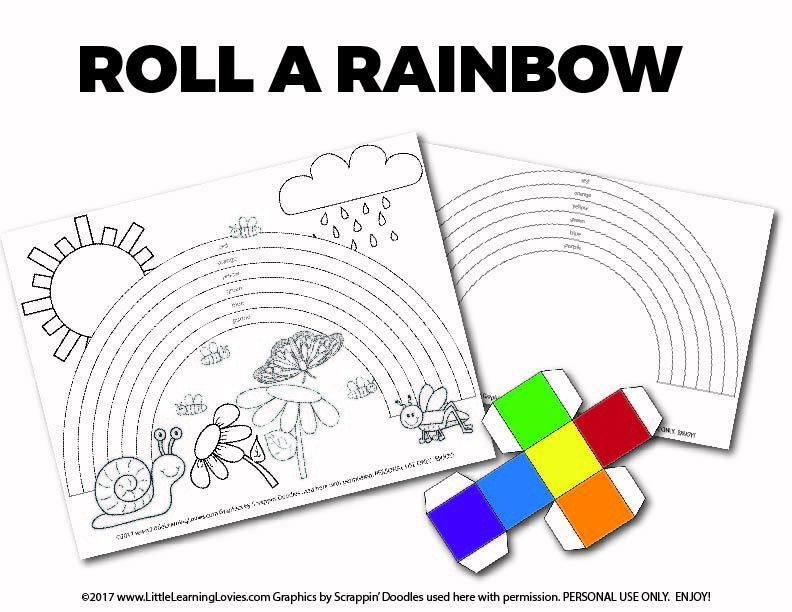 It’s a great game to play with preschoolers who are learning colors, fun for older kids who are learning about light, and it’s got a bit of luck to it, so everyone can play together and anyone could come out the winner! Well, as I was reviewing old posts of mine, I decided to update this game a bit. 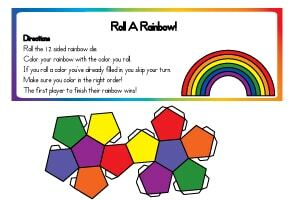 Here’s the new version of Roll A Rainbow! How Long Have You Been With Little Learning Lovies? I’m super curious! Tell me in the comments: How long have you been around with Little Learning Lovies? Do you have a favorite printable from us? Any input on what you’d like to see more of? Want the old version of Roll A Rainbow? Just click the image below for the original version, with a super cool 12 sided die! Is this the correct place to comment for the $5 giveaway? I think I’ve been with you for about a year. 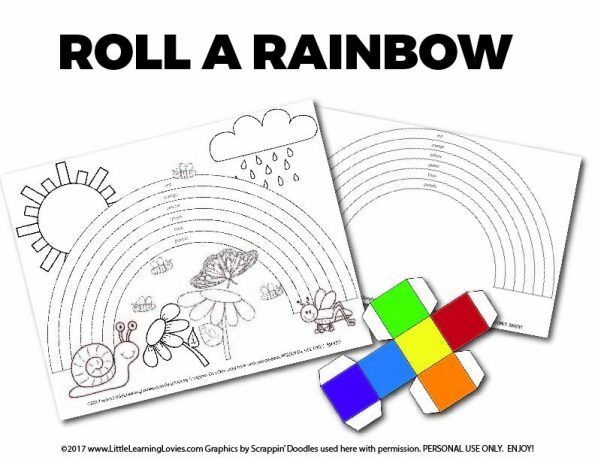 I think this Roll A Rainbow is my new favorite printable from you. I can’t wait to play it with my kids! That’s a great question, actually. And believe it or not, there is a lot of research that goes into even a simple game like this here at Little Learning Lovies! 🙂 First, did you know that there are actually MANY more colors in a rainbow than the 7 we were all taught as children? In fact, there is no way to count the number of colors in a rainbow. They are infinite! Also, the 6 colors included here are the primary and secondary colors we use in art. The primary pigments are red, yellow, and blue. The secondary colors are orange (a mix of red and yellow), green (a mix of yellow and blue), and purple (a mix of blue and red). To add in indigo would be to include a tertiary color which, while not a bad thing, reduces the educational benefits of learning these six colors to start. If I were to add indigo, I’d also want to add in all of the other tertiary colors, making this a much more confusing tool.